So, one side effect of playing an awful lot of Halo recently is that it got me curious what Bungie had been up to since Halo Reach. That lead me to the local Gamestop’s 4-for-$10 bin to pick up a copy of Destiny, which I will try at some point so I can see how the single player campaign stacks up against the Master Chief saga. Of course, I also had to pick three other games out of the same bin, and I had the crazy notion to try something COMPLETELY out of, and I pray you will forgive me here, completely out of left field. 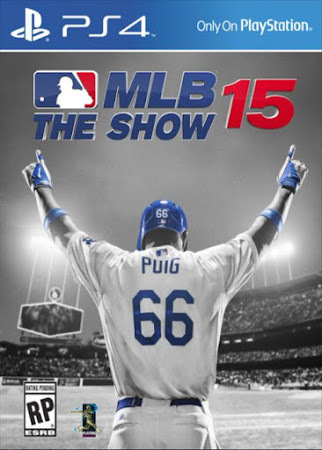 Cue a purchase of Sony’s MLB The Show 15. I’m not a huge sports fan in the sense of having a favorite team for each sport and dividing the year by which season we’re currently in, but I do enjoy watching baseball. It’s a nice medium between the glacial pace of American football and the frenetic speed of basketball, which tends to remind me of a rather chaotic game of Pong played with five paddles to a side. We will, for the sake of this discussion, completely forget that hockey exists as a sport. I hold two passports, neither of them is Canadian, I am therefore not actually required to understand or care about winter sports. I did have a Canadian friend try to explain the draw of curling to me once, and she summed it up as a sport where you get to do a lot of drinking while other teams are taking their turns. That seemed like a fair explanation. Anyway. Baseball. Meditative, but not sleep-inducing, and played in enough sheer volume that nobody really takes any individual game all that seriously and there’s generally some happening somewhere any day of the year between April and November. The perfect sporting experience. 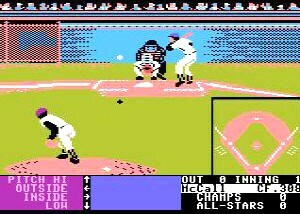 Mind you, the last baseball GAME I played was “Hardball”, on the Atari 8-bit. While I like the sport, it’s not like I’ve gone out of my way to seek out digital representations of it during the last few decades. Anyway, The Show has a single-player career mode called Road to the Show, where you start off as an amateur and try to make your way up through the minors and on to the roster of a Major League team. The ’15 version is, of course, completely out of date with regards to modern player rosters, but that doesn’t particularly bother me. Anyway, it sounded promising, so I added it to my stack of cheap games and brought it home. When I played baseball in school, I always had a terrible time judging what pitches were actually safe to swing at and which I should let go by, and it turns out that I’m equally as bad at it when trying to do it with a virtual bat. The “Road to the Show” starts off by having you play through three exhibition games, and I went 1-for-12 at the plate, with only slightly better performance on defense, and wound up being drafted 24th in the fifth round of the draft. It doesn’t help at all that the game’s commentators seemed to take a sort of devilish glee in making light of my abject failure as a batter. There IS such a thing as rubbing salt in the wounds. So… short version, it was a cheap way to find out that maybe I should stick to spectating. I mean, “The Show” is marketed as kind of a sim-heavy game, so it’s possible I’d do better with a version of the sport that was a little more arcade-style, but I’m not sure that such a thing even exists. I remember a friend talking about an older PS3 version of The Show (it might have been the first one) and it actually sounded more appealing than any other sports game due to things like its character progression, the customisation (you could even record your own crowd sounds!) and stuff like that. Of course, at the end of the day it was still a sports game so I was never going to touch it with a barge pole (tennis and golf games are an exception to this rule, particularly if Sega, Camelot or Clap Hanz have anything to do with them) so it was all a moot point, but it at least sounded interesting. Yeah, that sounds about right. I barely scratched the surface before deciding it wasn’t for me, but it seemed ridiculously customizable. Also very much not designed for newbies – there was zero tutorial, and I had to guess at which buttons did things like bat.